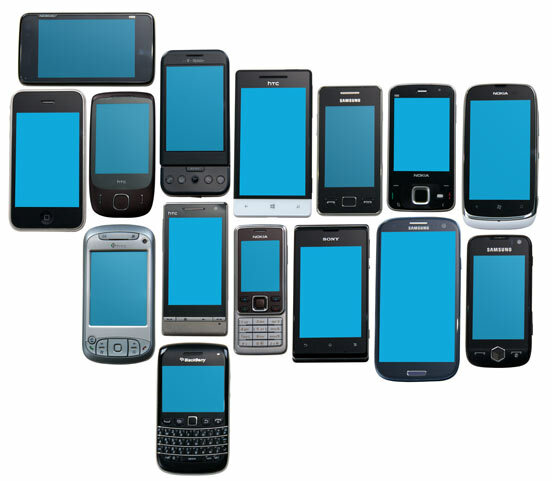 Do you test your website on mobile? Testing on a real device is always better than an emulator. But there are so many devices, it's not possible for every developer to own all devices. Fortunately, you don't have to! If you want to know how your website looks on an ancient BlackBerry, on a Nokia N9 or a Firefox OS device - we've got them. Need to test on iOS? No problem, we've got devices running iOS 1 to 10 and you're welcome to use them. But the HTML5test Device Lab isn't the only one. There are more than 139 Open Device Labs across 32 countries. Head on over to OpenDeviceLab.com for more information and locate the one closest to you. We are based in Drachten, located in the north of The Netherlands. For now, our lab is only open by appointment. We have limited space and time, so make sure you contact us beforehand and let us know which devices you like to use, so we can make sure they are available and charged when you arrive. If you want to visit our lab, contact us and we will send you a complete description where to go. the device lab for use on location. Most of our devices support Wi-Fi, but in case the device does not, or if you want to test the device using a cellular network, you must bring your own SIM card. Click or tap on each of the devices above to get more details of that particular device. We are always looking for devices to add to our lab. If you have a second-hand phone or tablet you want to donate to us, that would be great! Any mobile device with a browser is welcome, no matter how old. We do prefer unlocked GSM devices or devices with WiFi. If you are a manufacturer that has a new phone, developer unit, or completely new platform, please also contribute! All donated devices are going to be used for improving HTML5test.com itself and makes sure you always have up to date scores on the scoreboard. They will also be available to the public and will be used to improve compatibility of real-life websites with your devices. Do you want to establish your own Open Device Lab? LabUp is here to help you!